August arrivals: For many years, August was known for its sleepy dog days of summer when studios avoided opening films with big boxoffice potential. That's no longer the case. In fact, August is hotter than ever since last year's out-of-this-world launch for Disney and Marvel's "Guardians of the Galaxy." After opening Aug. 1 to $93.4 million, "Guardians" went on to do $333.2 million in domestic theatres, an amazing result for a Marvel property that wasn't a top tier comic title like "Spider-Man" or "X-Men." "Guardians" set a record as the highest grossing August release ever, out-performing previous August hits like: "The Bourne Ultimatum" ($227.5 million in 2007), "Rise of the Planet of the Apes" ($176.8 million in 2011) and "We're the Millers" ($150.4 million in 2013). This time around, August boasts a number of upcoming wide releases that should keep the multiplexes sizzling. To begin with, there's this weekend's kick-off of Paramount, Skydance Productions and Bad Robot's PG-13 rated action thriller "Mission: Impossible – Rogue Nation" at about 3,800 theatres. Directed by Christopher McQuarrie ("Jack Reacher"), it stars Tom Cruise, Jeremy Renner and Simon Pegg. "Rogue"should perform best with action fans, which typically means men under and over 25, but Cruise could also have good playability to adult women. In the blockbuster franchise's latest episode, Ethan Hunt (Cruise) and his team accept their most impossible mission yet -- wiping out the Syndicate, an international rogue organization committed to destroying the IMF. The franchise's last episode, "Mission: Impossible – Ghost Protocol," opened Dec. 16, 2011 to $12.8 million and did $209.4 million domestically. This weekend, which actually is split with one day being in July and the other two in August, will also see the arrival of Warner Bros. and New Line Cinema's R rated adventure comedy "Vacation"at about 3,250 theatres. Directed by first time feature directors John Francis Daley & Jonathan Goldstein, it stars Chris Hemsworth, Leslie Mann and Elizabeth Gillies. This re-imagination of the 1980s franchise starring Chevy Chase should do best with adult men. It could, however, also attract adult women with its plot about trying to improve a marriage by going on the right kind of vacation. In the new version, a grown up Rusty Griswold (Ed Helms in the role originated by the young Anthony Michael Hall in 1983's "National Lampoon's Vacation") plans a vacation that will bring his family closer together. Rusty sets out with his wife and two sons on a cross-country road trip to America's coolest theme park, Walley World, where they find that nothing goes quite as planned. 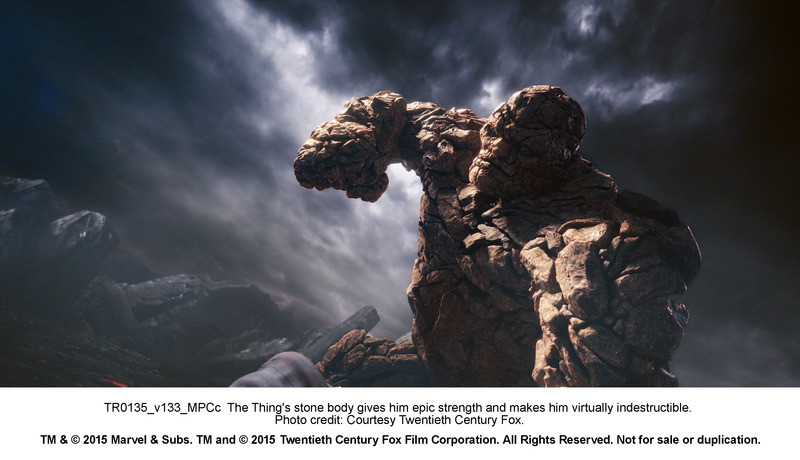 Aug. 7 will see three wide releases going after moviegoers' time and money.20th Century Fox and Marvel's sci-fi action adventure "Fantastic Four" is from "Chronicle" director Josh Trank and stars Miles Teller, Kate Mara and Michael B. Jordan. It's likely to do best with the male comic book action crowd, but could generate female moviegoer interest since its superhero team isn't all male, but incudes Mara as Sue Storm/The Invisible Woman. In this contemporary re-imagining of Marvel's original and longest-running superhero team, four young outsiders teleport to an alternate and dangerous universe that alters their physical form in shocking ways. Now they must harness their amazing new abilities and save Earth from a former friend turned enemy. The franchise's last episode, "Fantastic Four: Rise of the Silver Surfer," opened June 15, 2007 to $58.1 million and wound up doing $131.9 million domestically. Also on deck is the summer's third animated feature – the PG rated comedy adventure "Shaun the Sheep Movie" from Lionsgate, Aardman Animations and StudioCanal. It's opening Wed., Aug. 5 to get a jump on the weekend and could generate some good moms-with-kids matinee business. Family audiences love animation and turned out in force to see this summer's first two animated movies – Disney and Pixar's "Inside Out," which has grossed $320.3 million in six weeks; and Universal and Illumination Entertainment's "Minions,"which has done $261.6million in just three weeks. Aardman's credits include the animated hit "Chicken Run," which opened June 23, 2000 via DreamWorks to $17.5 million and went on to do $106.8 million domestically. TriStar Pictures' PG-13 rated music comedy drama "Ricki and the Flash" rounds things out Aug. 7. Directed by Jonathan Demme ("The Silence of the Lambs"), it stars Meryl Streep, Mamie Gummer (Streep's real-life daughter) and Sebastian Stan. Streep stars as Ricki, a guitar heroine who after giving up everything to achieve her dream of being a rock star is now returning home to make things right with her family. Gummer plays Ricki's daughter while Rick Springfield is a Flash member in love with Ricki and Kevin Kline plays Ricki's long-suffering ex-husband. "Ricki" should play best to adult women, making it perfect counter-programming to the weekend's other newcomers. Aug. 14 will bring Warner Bros. and Davis Entertainment's PG-13 rated action adventure comedy "The Man From U.N.C.L.E.," a re-imagination of the classic television series seen on NBC from 1964-68 that starred Robert Vaughn and David McCallum. Directed by Guy Ritchie ("Sherlock Holmes"), it stars Henry Cavill, Armie Hammer, Alicia Vikander and Elizabeth Debicki. 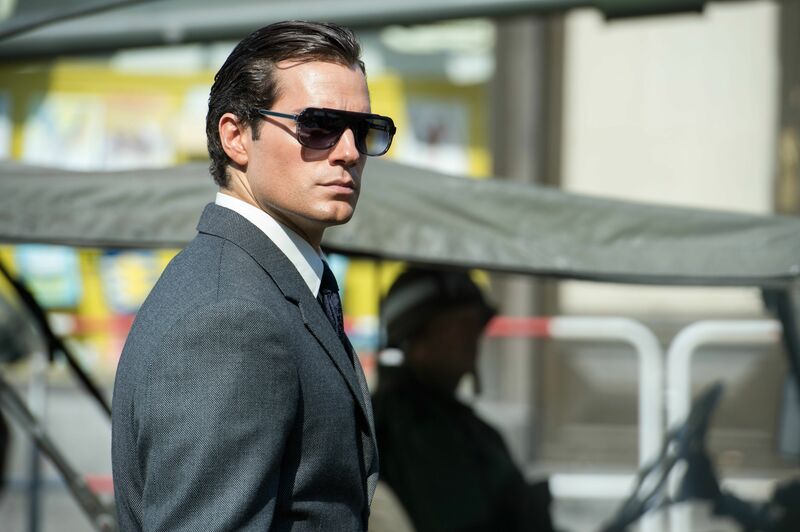 In the new movie, CIA agent Napoleon Solo (Cavill) and KGB operative Illya Kuryakin (Hammer) join forces in anearly 1960s mission to stop a mysterious criminal organization from proliferating nuclear weapons. Its action-spy storyline should do well with adult men. Also arriving Aug. 14 is The Weinstein Company's 3D family comedy adventure "Underdogs,"the summer's fourth animated feature.Directed by Juan Jose Campanella ("The Secret in Their Eyes"), it stars the voices of Ariana Grande, Matthew Morrison and Nicholas Hoult. Also on the Aug. 14 arrivals slate is Universal and Legendary Pictures' R rated music biographical drama "Straight Outta Compton." Set in 1987 in Los Angeles' notoriously dangerous Compton district, it's the story of five young menwho put their frustration and anger about life into the most powerful weapon they have -- their music. Universal calls it "the true story of how these cultural rebels --armed only with their lyrics, swagger, bravado and raw talent --stood up to the authorities that meant to keep them down and formed the world's most dangerous group, N.W.A. And as they spoke the truth that no one had before and exposed life in the hood, their voice ignited a social revolution that is still reverberating today." Two wide openings will be competing Aug. 21. 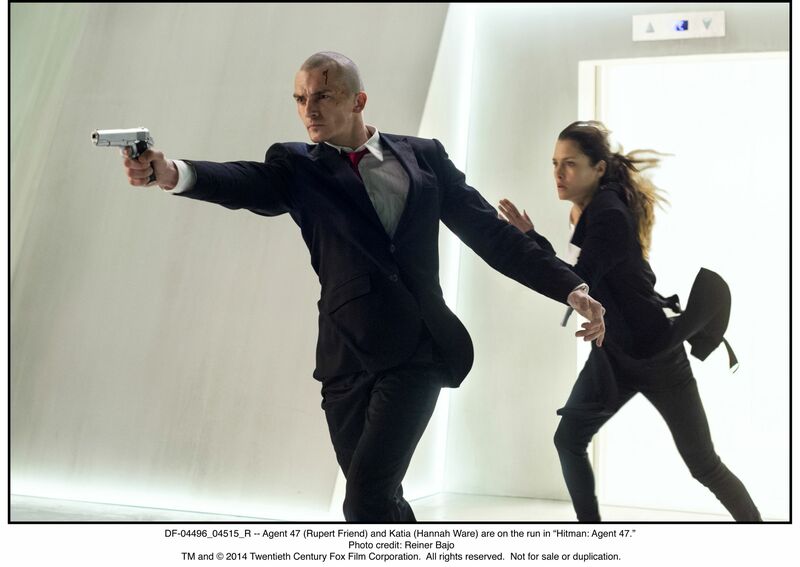 20th Century Fox's R rated action crime thriller "Hitman: Agent 47,"from first-time feature director Aleksander Bach, stars Rupert Friend, Zachary Quinto and Ciaran Hinds. It should play best to male action movie fans. Friend plays Agent 47, an elite assassin genetically engineered to be the perfect killing machine, who's known only by the last two digits of the barcode tattoo on his neck. His target now is a mega-corporation seeking to unlock his secret past to create its own army of killers with even greater powers. Lionsgate's R rated action comedy "American Ultra" is directed by Nima Nourizadeh ("Project X") and stars Kristen Stewart, Jesse Eisenberg and Topher Grace. It should play best to under-25 males and females. Eisenberg plays Mike, an unmotivated stoner whose small-town life with his live-in girlfriend, Phoebe (Stewart), is suddenly turned upside down. Mike doesn't know he's actually a highly trained, lethal sleeper agent. When his secret past comes back to haunt him, Mike is thrust into the middle of a deadly government operation and forced to summon his inner action-hero in order to survive. Three Aug. 28 openings will wrap up the month. The R rated romantic music drama "We Are Your Friends" from Warner Bros., Studio Canal and Working Title Films is directed by first-time feature director Max Joseph and stars Zac Efron, Emily Ratajkowski and Jon Bernthal. It should play best to under-25 males and females. Set in the world of electronic music and Hollywood nightlife, an aspiring DJ, Cole (Efron), spends his days scheming with childhood friends while working nights on a music track that will set the world on fire. Everything changes when he meets a charismatic but damaged older DJ, James (Wes Bentley) and falls for James' much younger girlfriend, Sophie (Ratajkowski). The Weinstein Company's R rated action thriller"No Escape"is directed by John Erick Dowdle ("Quarantine") and stars Owen Wilson, Pierce Brosnan and Lake Bell. It should play best to male action movie fans. The international thriller's story revolves around an American businessman (Wilson) settling with his family into a new home in Southeast Asia. When they're suddenly in the middle of a violent political uprising, they frantically try to escape as rebels attack the city. Focus Features and Blumhouse Productions' R rated horror thriller "Sinister 2"is directed by Ciaran Foy ("Citadel") and stars Shannon Sossamon, James Ransone and Nicholas King. Like most horror films, its core audience should be under-25 females. Its storyline centers on a young mother (Sossamon) who moves with her twin boys into a rural house that's marked for death. The supernatural villain Bughuul from the original "Sinister" returns for the sequel. "Sinister" opened Oct. 12, 2012 via Lionsgate to $18 million and ended up grossing $48.1 million domestically. Bottom line:Look for the dog days of summer to do plenty of barking at the boxoffice!